Stoll must fix Renaults sales. PARIS -- Frances automakers made big changes late last week that they hope will help them emerge from the worst sales slump in decades. Renault announced a major restructuring of its sales and marketing division while rival PSA/Peugeot Citroen gave control of its Citroen brand to a seasoned sales specialist. Starting March 1, Jerome Stoll will become head of sales, marketing and light commercial vehicles at Renault. 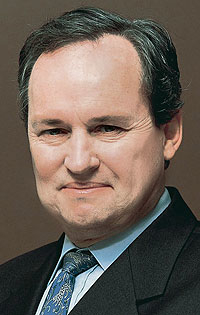 The 55-year-old Frenchman has been CEO of Renaults successful Brazilian operations since 2006. He replaces Patrick Blain, who will become a special advisor to Renault CEO Carlos Ghosn. Stoll inherits a sales division that suffered a 33.9 percent decline to 72,038 units in European volume last month compared with January 2008, according to data from the European automakers association. Gales bring sales expertise to PSA. At PSA, Mercedes-Benz global sales director Jean-Marc Gales has been hired to lead the Citroen brand. 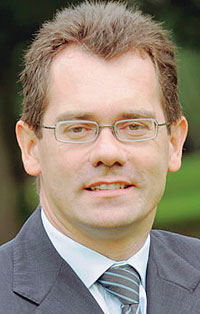 Gales, a 46-year-old citizen of Luxembourg, also has held a range of management posts with Volkswagen, BMW and Opel. He has a reputation for using aggressive pricing to increase sales volumes. He replaces Gilles Michel, who left Citroen last December to manage the French governments new strategic investment fund. According to the ACEA results, PSAs first month European sales fell 24.8 percent to 128,272 units compared with the same month last year. Last week, PSA/Peugeot-Citroen reported a net loss of 343 million for 2008. In 2007, PSA made an 885 million net profit, but the French carmaker was hit hard by a big slump in new-car sales toward the end of last year. Renault also posted a sharp decline in 2008 net profit last week due to a financial and economic crisis of massive proportions. Net profit fell to 599 million from 2.734 billion in 2007.